Kopi Luwak coffee comes from the Indonesian island of Sumatra, an area well-known for its excellent coffee. All coffee begins as a fragrant and beautiful white flower. 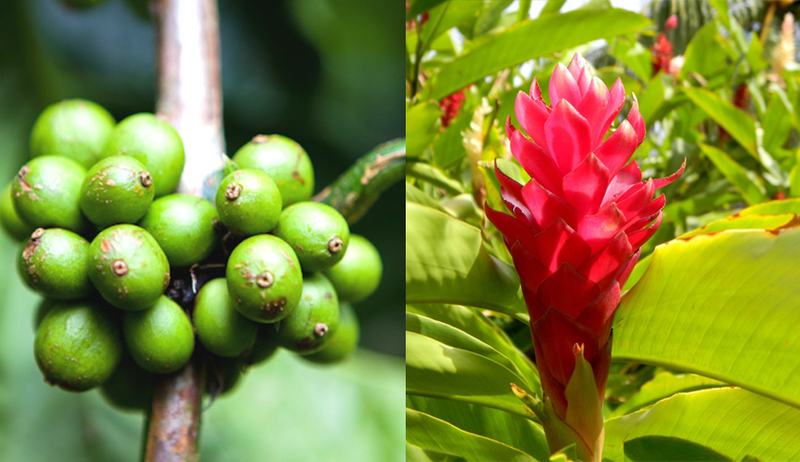 The flowers develop into green cherries about the size of a glass marble, inside each cherry two coffee beans sit facing each other. After a few months the cherries ripen to a vivid red and are ready to be harvested, or maybe eaten. 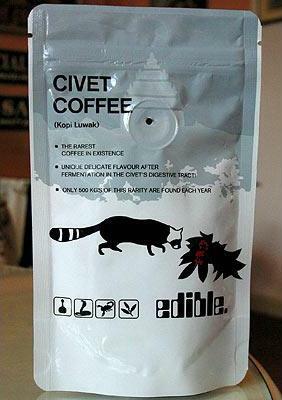 Luwaks or Civets are generally nocturnal and steal into the coffee plantation at night to feast on coffee cherries. 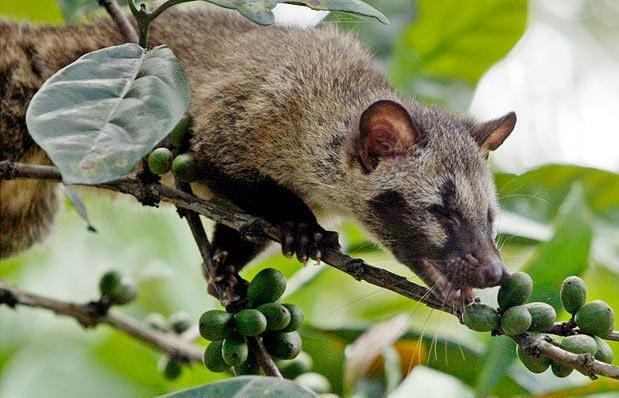 These little mammals live in the trees and one of their favourite foods is the red, ripe coffee cherry. They eat the cherries, bean and all. While the bean is in the little guy's stomach, it undergoes chemical treatments and fermentations. The bean finishes its journey through the digestive system, and exits. Fruit forms a significant portion of a Luwak's diet so they are very good at selecting the ripest, juiciest cherries. This ability contributes to the final quality of Kopi Luwak. The coffee cherries remain in the digestive tract of the Luwaks for around twenty four hours and are mixed with various other things the Luwak has eaten. Raw kopi luwak often contains seeds and nuts as well as coffee beans. During the digestive process the flesh of the cherries is removed leaving the seeds (the coffee beans) inside an inner skin, called the pergamino or parchment. The parchment is porous allowing acids in the Luwak's stomach to soak the beans causing the destruction of some of the proteins in the coffee and altering their final taste. Once the Kopi Luwak has been collected the pieces are, by hand, broken into individual beans, discarding all the unwanted components and reducing the volume of the Kopi Luwak by a considerable amount. The beans remain in the dry, papery parchment which needs to be removed. The beans are then spread out on dark tarpaulin in the sun for a few days to dry the parchment and make it easier to remove. Once the skin/ parchment has dried sufficiently the beans are put into a wooden mortar and pounded with a crusher by hand. The beans themselves are harder than wood and remain unaffected by the treatment while the brittle parchment breaks apart and separates from the beans. The resulting Kopi Luwak beans are hand sorted to remove any beans that appear damaged or unusual, a tedious and time consuming process. After sorting the beans are given a final wash in fresh water, dried for a few days to prevent mould, and stored in hessian sacks. 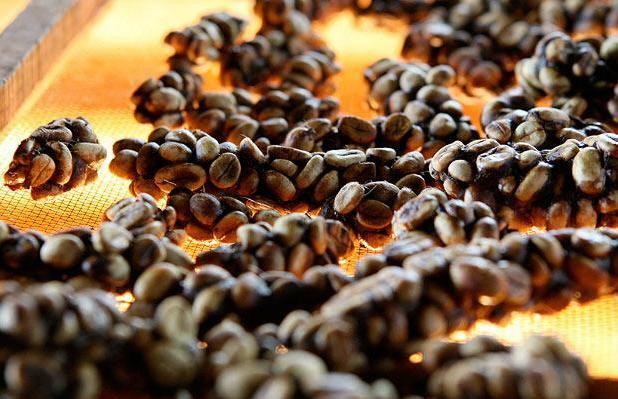 A batch of raw Kopi Luwak may lose as much as 80% by weight by the time it is ready for roasting. A further 20% of that weight is lost during the roasting process, due to moisture loss, so 10kg of raw Kopi Luwak may produce as little as 1.5kg to 2.0kg of roasted Kopi Luwak beans. 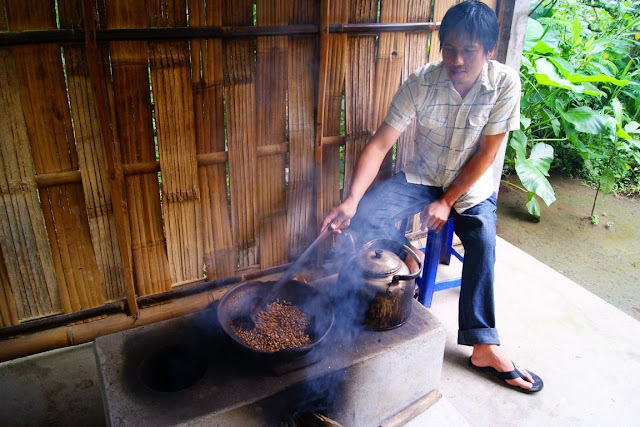 Because of the strange method of collecting, there isn't much Kopi Luwak produced in the world. The average total annual production is only around 500 kilos of beans. Freshly brewed Kopi Luwak has a naturally sweet scent with traces of nuts and chocolate. You can also find hints of hay, tobacco and vanilla. One of our “test subjects” found that the coffee smelled slightly medicinal with hints of faeces. 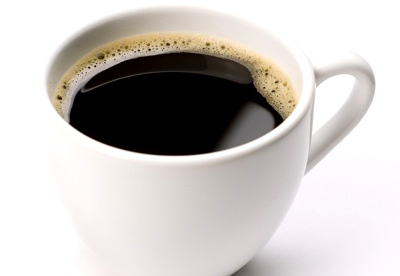 It is definitely a mild coffee but with lots of different taste experiences. You can find some subdued spices that linger and forms a pleasant acidity in the back of your oral cavity. Another one of our “test subjects” compared Kopi Luwak to a mild and very good espresso with a burnt hint. There is almost no aftertaste to talk about. You have a pleasant feeling in your mouth and anything you eat or drink afterwards tastes exceedingly sweet. Because of the rarity of this coffee, the price is quite outrageous. If you can find a vendor, the current cost for a kilogram of Kopi Luwak is 900 USD or more. Some more adventurous coffee houses are selling it by the cup, but you won't likely find it at your local coffee shop just yet. The coffee isn't so spectacular that it's truly worth that amount of money. You are paying for the experience of enjoying such an unusual and rare delicacy.